UC Berkeley Events Calendar: Wellness Wednesdays in the Garden: Flower Power Yoga| Grow and Go with Chai! 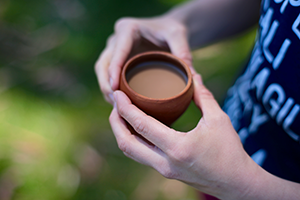 Chai - enjoy a warming beverage as you relax into the morning. Yoga is an effective strategy to release tension, relax the nervous system, improve focus, and increase balance. Each class offers a healthy dosage of crisp fresh air, all natural organic floral aromas, vitamin D sunlight, blooming visions, stable grounding platform, and more. Join teacher Jaime Espinoza Moore for a delightful morning practice set among the 34 acres of the UC Botanical Garden. No experience necessary; Jaime will provide modifications for different abilities and experiences. Bring a yoga mat or blanket.